Lime Soda pop-up gives you affordable options for the season. For all things fun and florala��from clothes to accessoriesa��head to The English Tearoom next weekend. The first edition of Lime Soda pop-up, curated by entrepreneur Soundariya K Anil, has English florals as the theme. a�?It felt fresh and right, and luckily, the decor of the venue went well with the theme,a�? begins Anil, who also owns Thai Sabai spa and Little Lavish, a retail store, with her mother Rema Devi and sister Anjana Krishnaswamy. At the pre-Diwali exhibition, find products ranging from Indo-western clothing, personalised gifts, lamps, cakes, jewellery, handmade soaps and home dA�cor. a�?There is Indian wear by ace city-based designer, Bandana Narula and Indo-western collection by Tadka, a Chennai-based brand. We will also have jewellery from Delhi-based Achint Jewellery by Vinny Mehra, and eco-friendly accessories for men from Monk Story by Abhinandan Jain,a�? 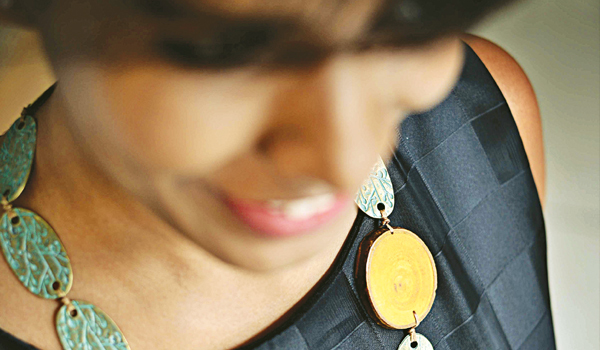 she says, adding that she is also excited about personalised gifting from Avec Amour by Shivani Rajesh Ram (Delhi). While there, guests can enjoy a set lunch (soup of the day and a main course like grilled chicken/vegetables, Rs 380). The 29-year-oldA� concludes that is all goes well, she will hold another pop-up in December. Rs 150 onwards. October 7-8, at Kasturi Rangan Road.